Discovery is the legal process that allows each party to a lawsuit to ask the other parties for information tha t is related to the case. During discovery, both parties are required to show the other side evidence they plan to use during trial. Our Newport Beach injury lawyer can guide you through this process. 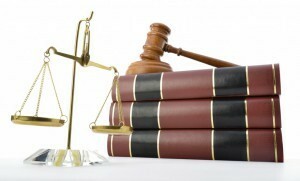 The discovery process is meant to encourage parties to settle their disputes before trial, help each side prepare their case based on fair access to information, and prevent unfair surprise in court. Courts have stated that the ultimate purpose of discovery is to seek the truth, so that disputes may be decided by what the facts reveal, not by what facts are concealed. In a deposition, a party’s lawyer conducts live questioning of the other party or a witness to the dispute. The person being questioned must answer under oath, and the answers are transcribed by a court reporter for later use at trial. This person is called the deponent. Sometimes, the deposition is also videotaped. If the deponent cannot testify at trial, the questions and answers might be read to the jury as evidence. If the deponent does testify and gives different answers at trial from those he gave during the deposition, the questions and answers can be used to show the jury that the witness changed his story. Many times a client provides his or her lawyer with a mountain of documents, many of which have no real relevance to the case. Other clients produce only a fraction of their documents, notwithstanding counsel’s request to make full disclosure. This usually occurs as a result of oversight, or the client not being prepared to spend the time or effort to complete a thorough search. Failure to make full production at the outset invariably results in increased costs and delays down the road. Moreover, if a party fails to respond to another party’s request or fails to adequately respond, the requesting party may file a motion to compel responses and go before the judge. This could result in monetary fines and other sanctions. We believe in holding your hand closely during the discovery process. If you want to discuss your case with a Newport Beach injury lawyer at Russell & Lazarus APC, call (949) 851-0222. We can help.